It's The Star Wars Underworld unofficial Star Wars Celebration preview show! Dominic, Ben, and Chris share tips and tricks from their experiences at past Celebration to help you optimize your experience by staying healthy, comfortable, and flexible. 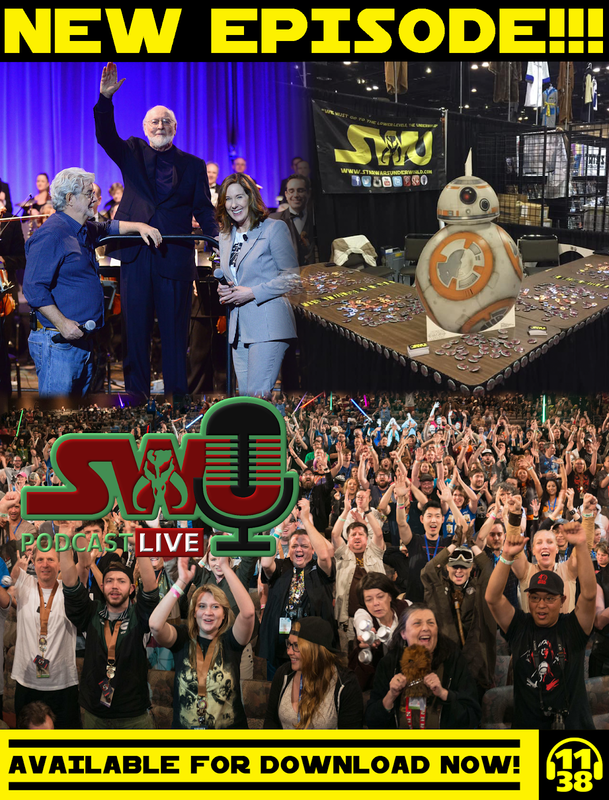 They also tell stories from Celebrations past, including encounters with Star Wars celebrities like Dave Filoni, Rian Johnson, and Matt Lanter, legendary panel experiences, and fun happenings on the show floor. Plus, some panels to look out for, when to see The SWU Podcast live at Celebration (3pm on Monday April 15th at booth #1546), and all the evidence that John Williams is secretly Santa Claus. All this and much (much) more!